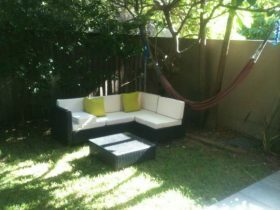 Luxury Boutique accommodation in the avant-garde hub of Sydney. 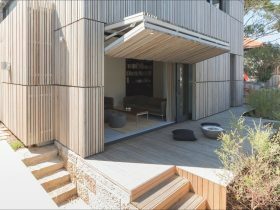 Larmont Sydney by Lancemore is a landmark of Potts Point – a rejuvenated borough that is renowned for its contagious energy. 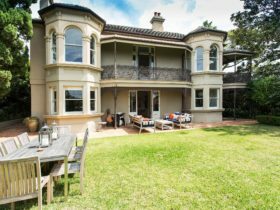 Within walking distance of the CBD and just minutes from Sydney’s best shopping strips, cafes, bars and restaurants. 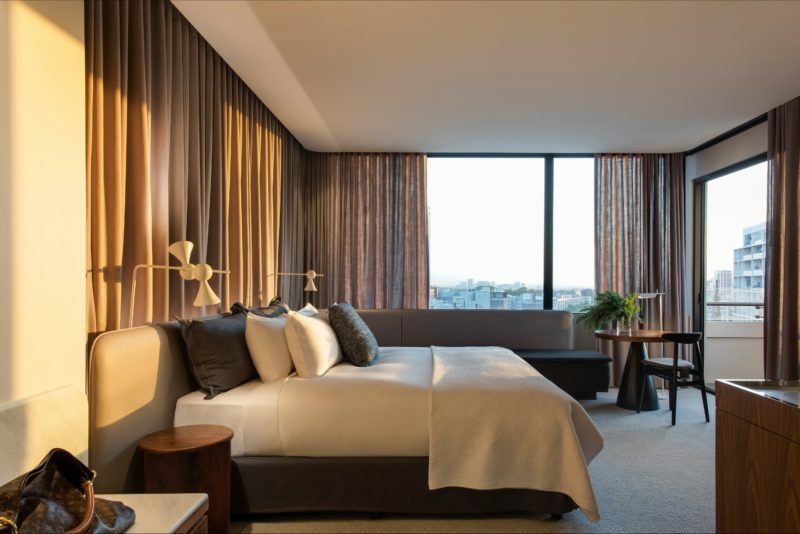 Featuring a new interior design from the award winning Hassell Studio and bespoke amenities, Larmont is a haven for the well travelled – guests who want more than just a hotel room and who are here to experience the soul of Sydney. All rooms offer luxurious king coil kingsize bed, free super fast WiFi, in-room iPad, and smart television with Apple television. Facilities include an in-house Yoga Studio and 24 hour professional gym. 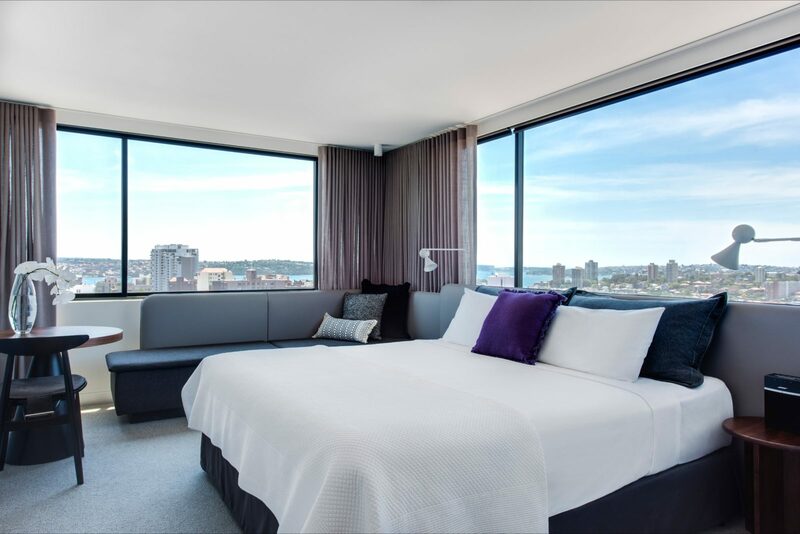 These rooms feature views of the city or the famous Harbour Bridge that you can enjoy whilst working late on the large desk, or fluffing up the down pillow before retreating to the luxurious King bed with Microcloud topper. Revel in the comforts that the Devine Room has to offer, including modern en suite, T2 tea and Nespresso coffee making facilities, mini bar, plasma television with AppleTV, Bose Sound Touch and in-room IPad . A luxurious room with more features then you would normally expect including king size bed, large smart TV with AppleTV, iPod docking station, Bose Sound Touch, luxury Australian toiletries, ultra high speed wifi and fully stocked mini bar. 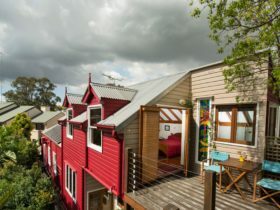 Larmont Sydney is home to five beautiful and unique Suites ranging between 40 and 50 square metres in size. 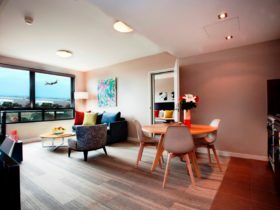 Some of the Suites have spacious terraces and balconies overlooking the city and Sydney Harbour. For the stylish traveller who likes to spread out, the suites are fitted with a luxurious king-size bed topped with indulgent down pillows and a MicroCloud bed topper, promising total comfort. The Suites feature a seating area and day bed or sofa to enjoy the stunning views. Enjoy your very own spacious terrace! Fresh and airy, the spacious 25 square-metre Terrace Room is your answer to an inner city oasis, promising contemporary comfort that can be enjoyed by your pampered pooch too. The room also features a king-size bed, indulgent down pillows and MicroCloud topper, a mini bar and a fully appointed modern en-suite. You’ll also have access to free ultra-high-speed Wi-Fi, a Smart TV with Apple TV and Bose SoundTouch. *Pet-friendly rooms are available on request and incur an additional charge. Subject to change and availability at time of booking.